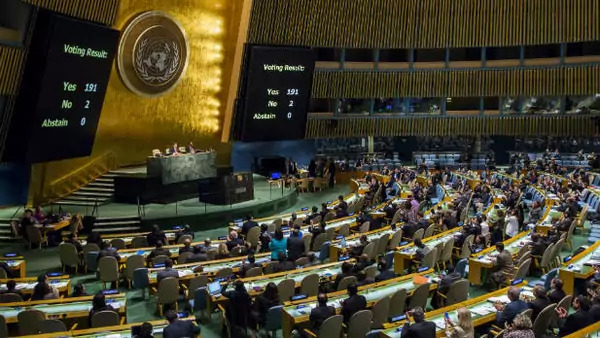 While all eyes in the U.S. are turned to the presidential primaries, another election contest has seized the attention of diplomats across the globe: the United Nations Secretary-General (UNSG) race, which officially kicked off last month. Many speculate that this year’s election could bring significant change to Turtle Bay: although the world’s chief diplomat has been male since the inception of the United Nations (UN) in 1945, experts are predicting that the current contest could yield the first female secretary-general in UN history. The selection process itself is characterized by a lack of transparency and informal norms, which arguably have hampered female candidates in the past. UN officials expect to solidify a list of candidates by March, and, following months of networking and jockeying by the candidates, the Security Council will convene behind closed doors to consider those proffered by member states and issue a recommendation to the General Assembly. The new appointee is slated to assume power when current Secretary-General Ban Ki-moon steps down at the end of 2016. Many member states are reportedly heeding this call. Already, the names of several prominent global leaders—President Ellen Johnson Sirleaf of Liberia, President Michelle Bachelet of Chile, former President Mary Robinson of Ireland, even Chancellor Angela Merkel of Germany—have floated in the media. It is far more likely, however, that the next secretary-general will be a less familiar name. It is also probable that Eastern Europe, the only of the five regional groups never to have produced a secretary-general, will prevail in securing the seat. Irina Bokova, from Bulgaria, is considered by many to be the clear frontrunner. The Harvard Kennedy School-educated champion for human rights, cultural dialogue, and women’s issues is currently the director-general of the UN Educational, Scientific, and Cultural Organization (UNESCO), a position she assumed after serving two terms in the Bulgarian Parliament. Her leadership of one of the UN’s largest agencies has bolstered her appeal among member states. However, the ongoing turbulence over UNESCO’s recognition of the Palestinian Authority could affect her chances. Another Bulgarian, Kristalina Georgieva, reportedly has mounted an active—though discrete—campaign. Georgieva belongs to the party of Bulgarian Prime Minister Boyko Borissov and has higher favorability ratings among Bulgarians than her compatriot Bokova, adding a dimension of national-level tension to the early stages of the nomination process. It remains unclear if the nomination of one would effectively eliminate the other from nomination by another country or from later consideration by the Security Council. Georgieva, an economist and former World Bank vice president who has filled several posts within the European Commission, has built a reputation as a highly capable, humanitarian-minded, and non-ideological technocrat. If the internal politicking of what has been called the “Bulgarian primary” damages the candidacies of both Bokova and Georgieva, Croatian Foreign Minister Vesna Pusić is primed to make a strong run. The accomplished sociologist has a portfolio of scholarly work on theories of industrial democracy and the sociology of politics. Her career in national politics is equally impressive—she was a founding member of the Croatian People’s Party and oversaw the country’s accession to the EU. In the event of gridlock in the Security Council over an Eastern European nominee, member states could look outside the region to one of several seasoned diplomats from the Latin American and Caribbean group or to a candidate with broad appeal based on experience in international institutions. Christiana Figueres, who successfully presided over a historic climate change agreement in Paris as the Executive Secretary of the UN Framework Convention on Climate Change (UNFCCC), could be nominated. Others likely to receive nods include Rebeca Grynspan, economist and former Vice President of Costa Rica, and Alicia Bárcena Ibarra, Executive Secretary of the Economic Commission for Latin America and the Caribbean (ECLAC). Former Prime Minster of New Zealand, Helen Clark, now the first female chief of the UN Development Program (UNDP), could become a contender as well, given her extensive experience and knowledge of the internal workings of the UN. With a multitude of highly-qualified candidates and mounting international pressure for a woman in the top job, there is every reason to believe that 2016 could be the year the UN appoints its first female secretary-general. At a time of significant diplomatic, humanitarian, and development challenges, this change could bring a welcome perspective to the world’s most pressing problems. Ample evidence demonstrates the positive effects of women’s leadership in sustainable conflict resolution, and studies show that organizations with a diverse range of viewpoints tend to be more effective and make smarter decisions. Perhaps most importantly, having any one of these women at the helm of the United Nations would send a powerful signal to the world about the commitment of international institutions—and the member states they represent—to advancing gender equality across the globe.